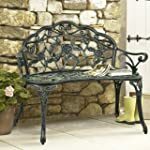 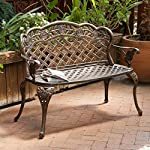 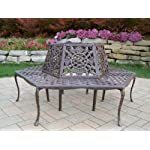 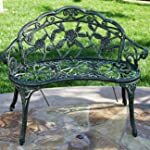 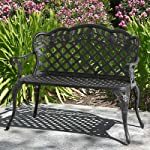 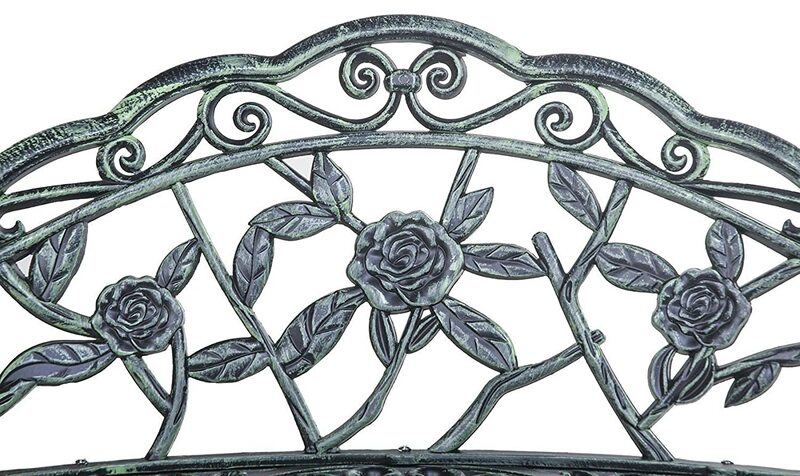 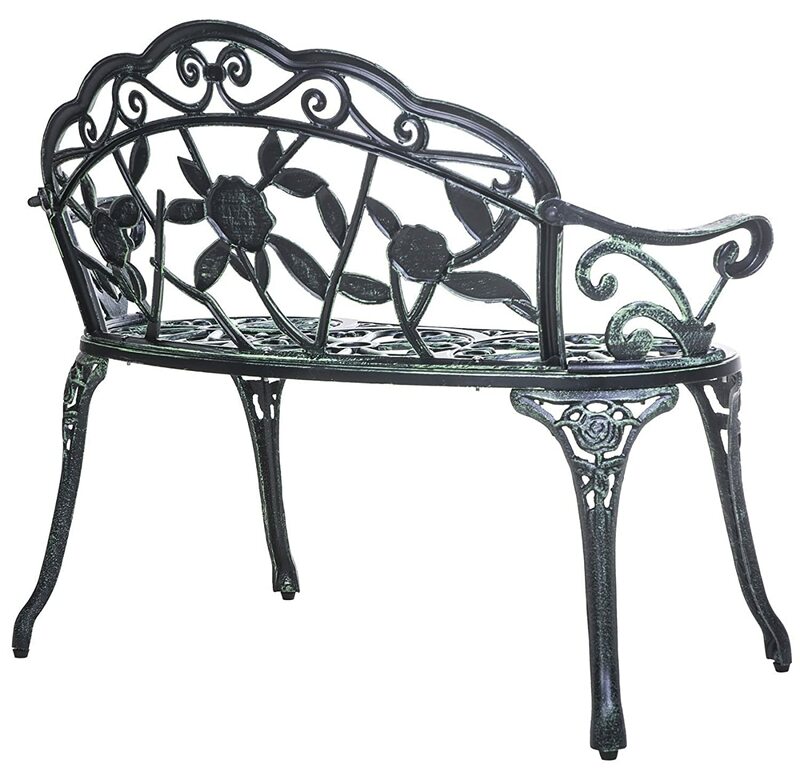 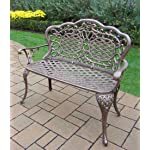 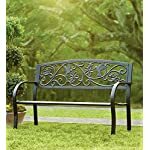 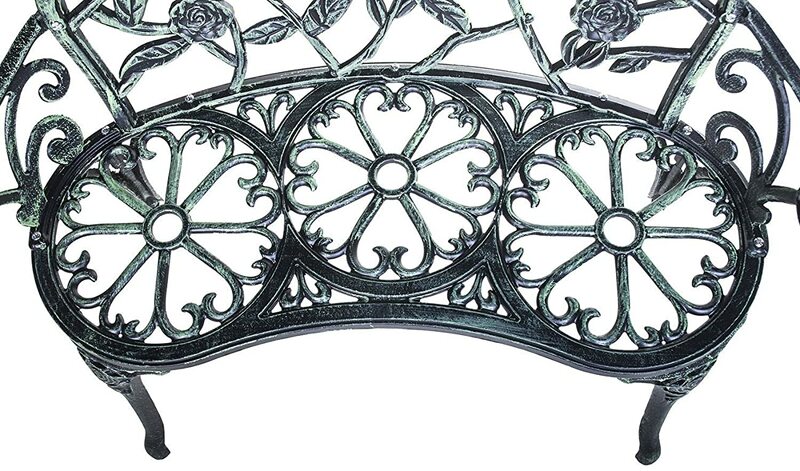 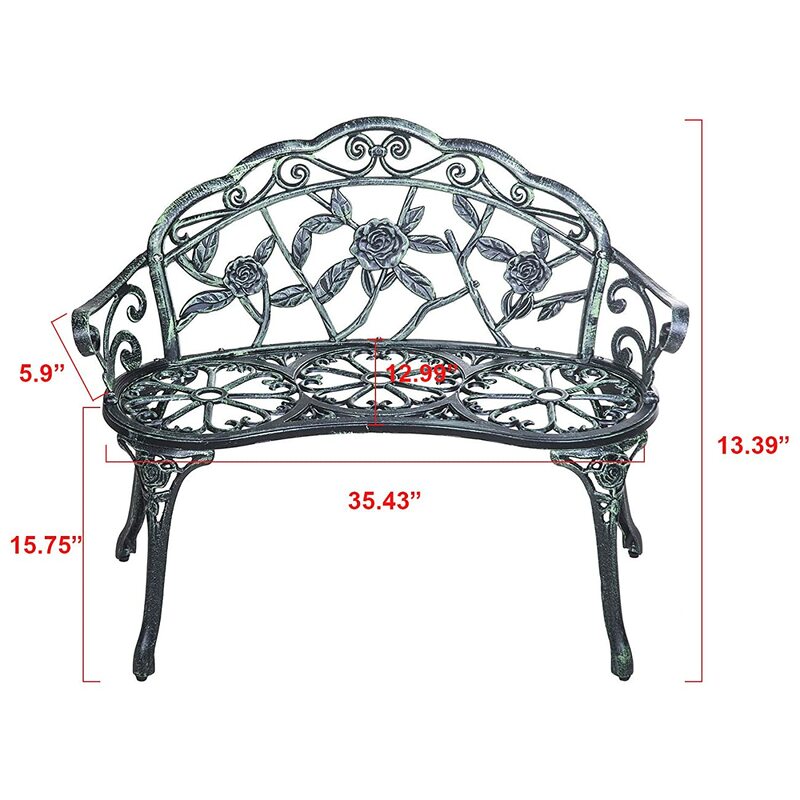 Unique lattice-patterned with rose embellishments makes it a beautiful and elegant addition to any garden, path, porch or patio. 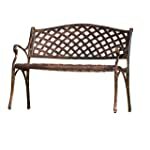 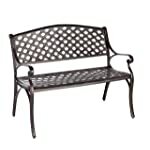 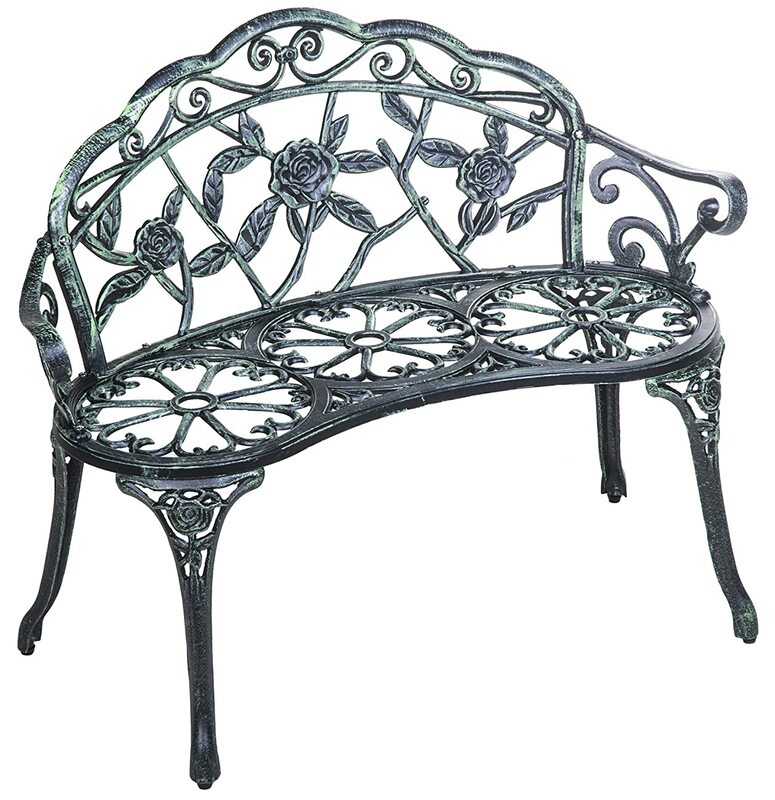 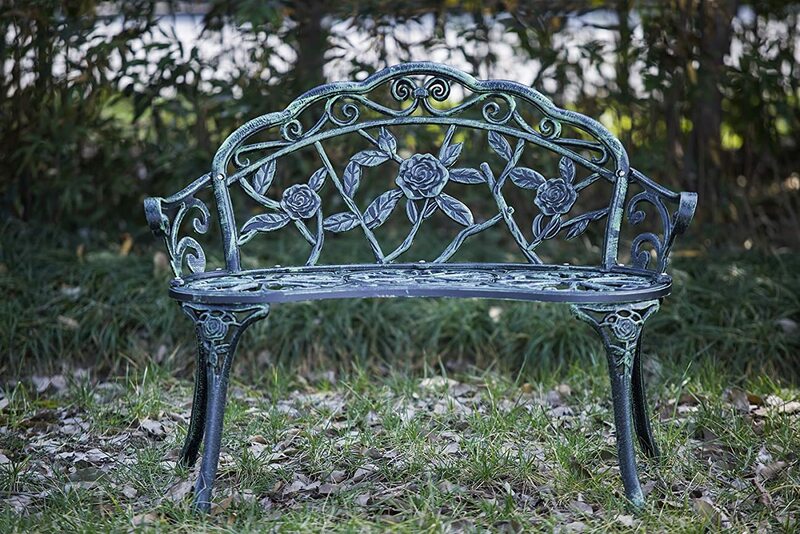 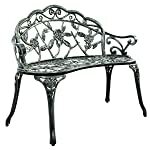 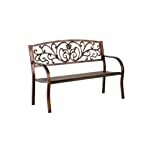 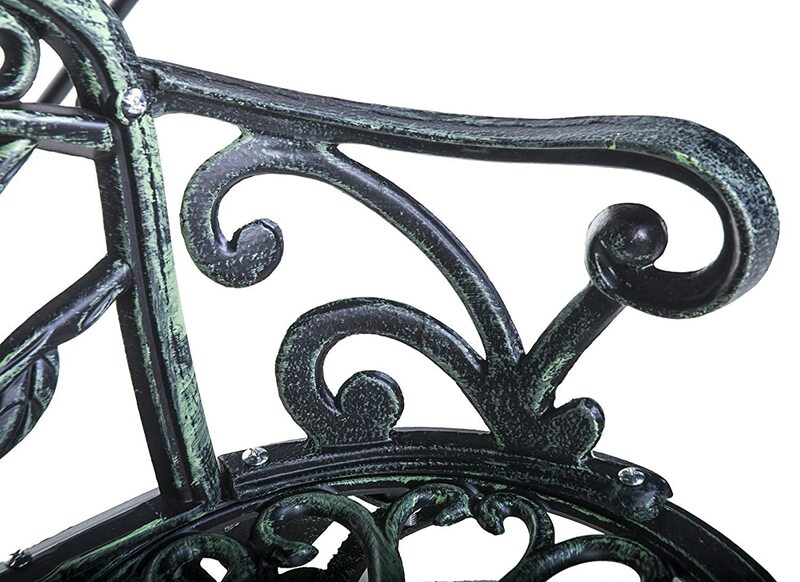 Sturdy cast iron construction with antique copper finish provides increased stability and durability. 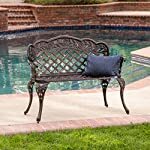 Curved backrest, armrest and seat provide great comfort and relaxation when seating in to bask in the sunshine or listen to music.